There are many good places to dinner in Madrid, but restaurants with views in Madrid not so many. Joining a spectacular panorama and a wonderful cuisine is complicated. You are looking for a special place that has everything, so I have done this compilation. For important occasions, for afterwork, for brunch or for partying. There is for all! The Círculo de Bellas Artes de Madrid (or CBA as it is usually known) is full of surprises. Apart from making interesting exhibitions or incredible parties like its Baile de Carnaval, it has a restaurant on its rooftop. Tartan Roof is probably the most spectacular restaurant in Madrid. Dining there is affordable for all, and if you have reservation, do not pay the entrance to the roof. Gorgeaus for those who want to dinner and have a couple of drinks, because it has a restaurant and a lounge. 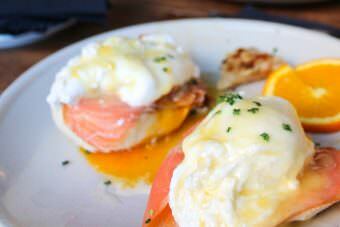 The menu is informal, with international dishes and a DJ set on weekends. The quality and the views raise the price, but seeing the sky of Madrid in 360º is highly recommended. The recovery of the riverbanks of Manzanares with the park Madrid Río has created a fantastic green space. And there’s the Café del Rio being one of the coolest restaurants in Madrid. In addition there’s something frosty because of the proximity of the river, which is always appreciated in Madrid nights. 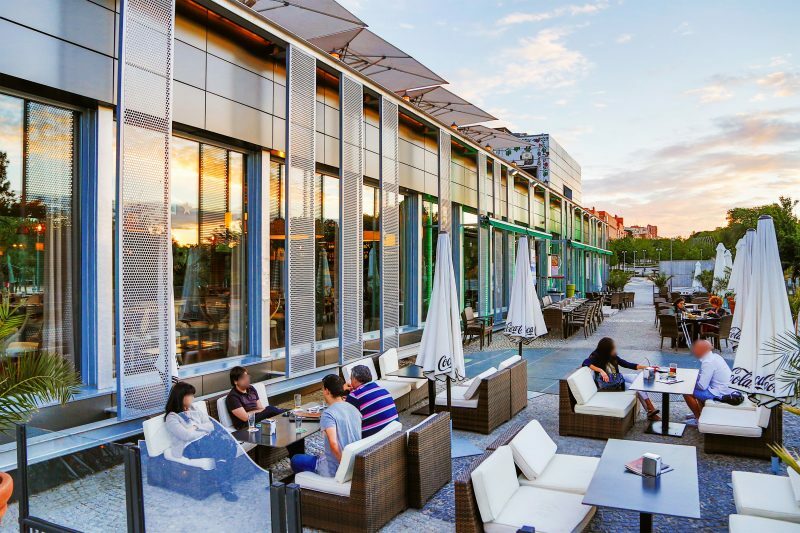 Its international menu fits very well in the summer with the chill out music overlooking Madrid de los Austrias. A real good move! Being close to the sky of Madrid is very good, but sometimes the restaurants with views in Madrid see other landscapes. Such as the Gran Vía and Plaza de España, two of the most interesting areas of the city. 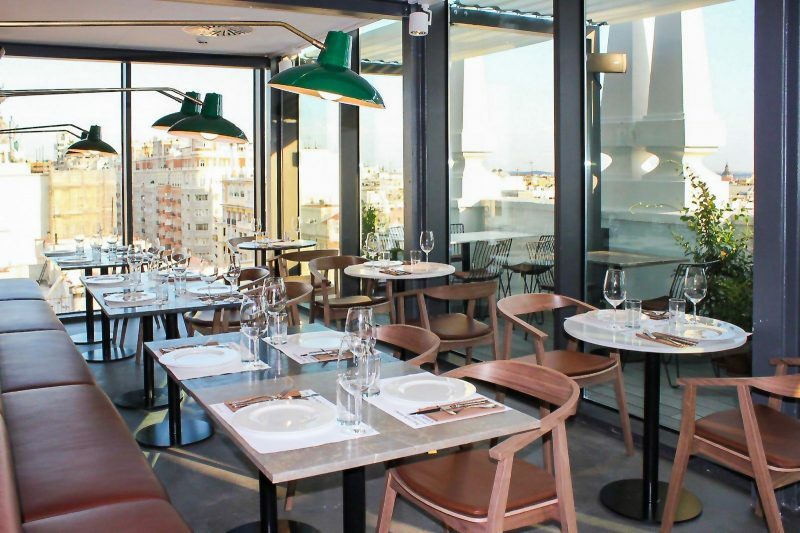 You can see the contrasts of Madrid while you eat in Somos its t Mediterranean cuisine. Although the restaurant is so beautiful you will not know where to aim the camera first. 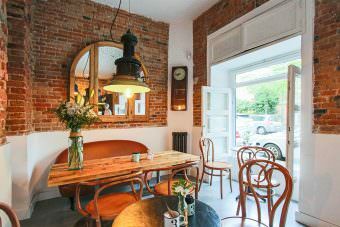 If you are looking for restaurants with calm and cozy views of Madrid, this should be the first one on your list. The 18 seats of its terrace ensure intimacy and personalized attention. 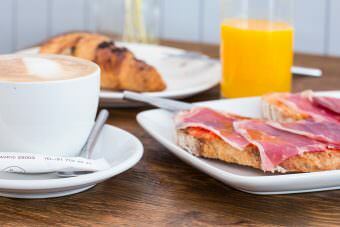 Recommended for pleasant evenings, its menu is short, but varied and very creative. Not for all audiences, but their fans are staunch. As a practical detail, the hotel has 2 hours of free parking, which is sure to be of help to the brave who enter the car downtown. Young and casual atmosphere in the Gran Vía. 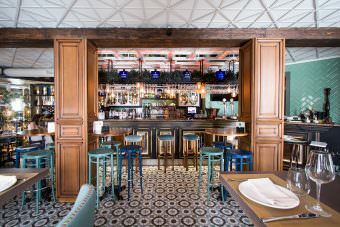 Mediterranean cuisine in rations, salads and tapas for combien with cocktails. 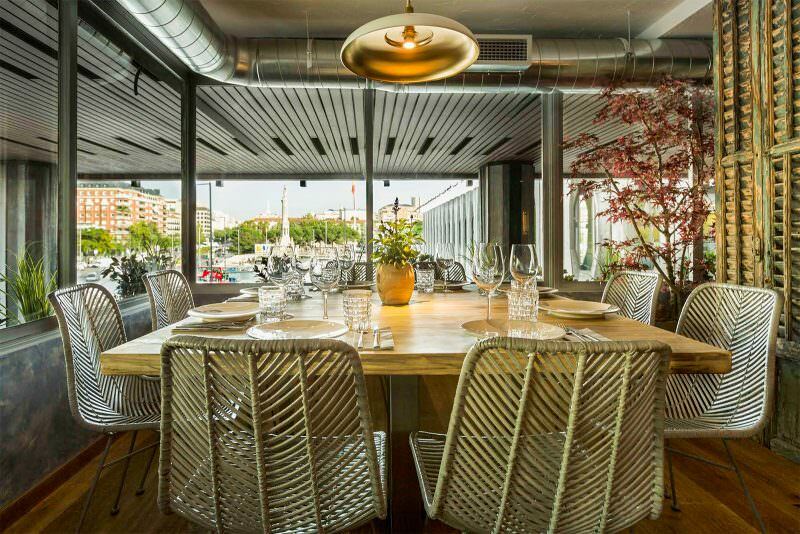 Some define it as a chiringuito deluxe for the beautiful people of the city. An urban oasis that when the sun goes down begins to fill with groups of friends wanting to have fun. 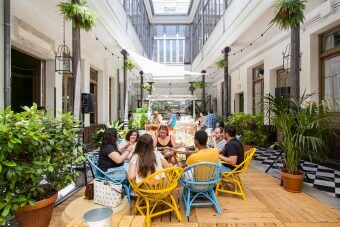 Its good atmosphere and the DJ’s music on weekends make going out of the center of Madrid more than a good idea. 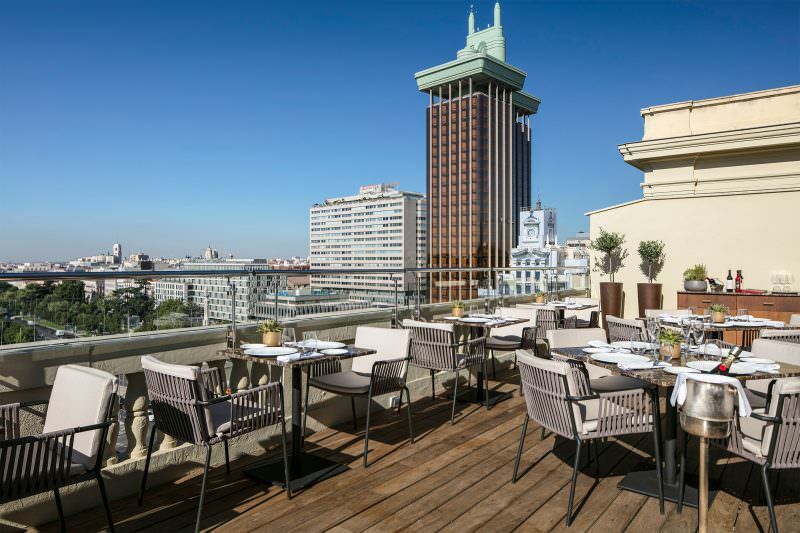 Hidden in the eyes of the public, it has one of the most sought-after restaurants in Madrid. The reasons? 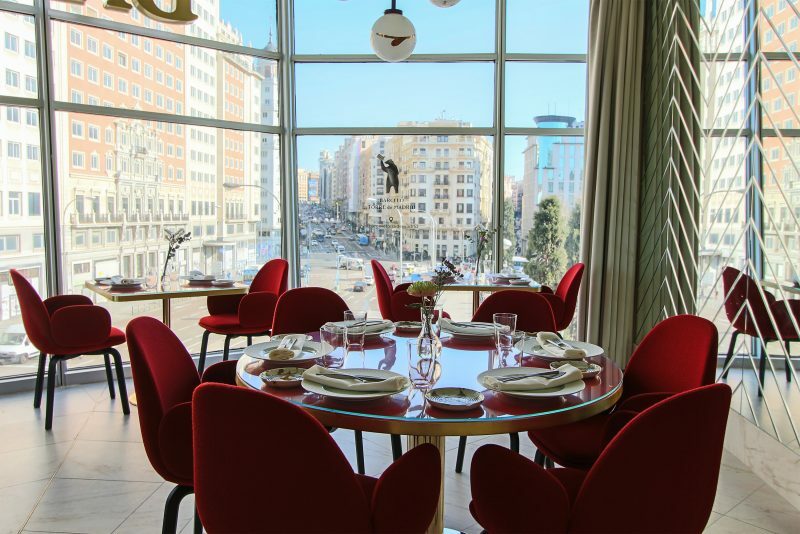 Views to the Plaza de Colón, a refined international cuisine and round tables that you can book for your celebrations. Ask for the table of the photo when you book to enjoy the panoramic to the maximum. And by the way, do not forgive the “Cronut de Nutella stuffed with Oreo cream”. A real perdition for sweet tooth. It isn’t always open to the general public, but when it is, we must seize the occasion. 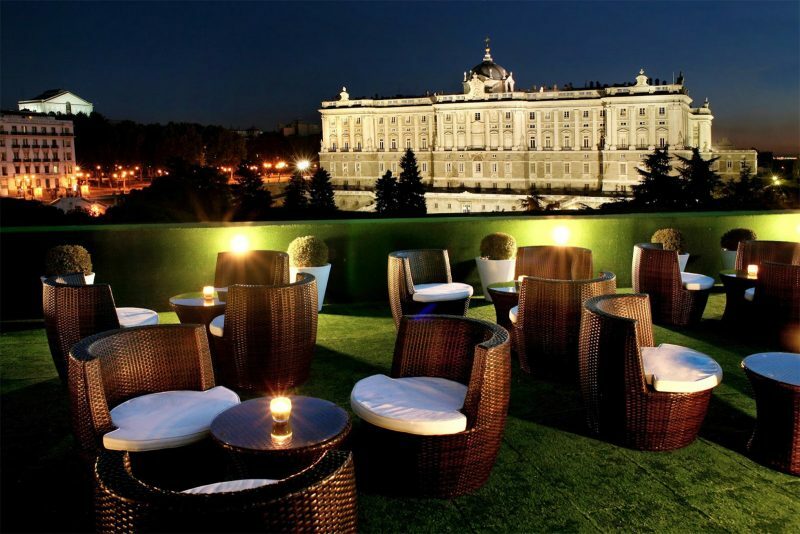 It’s the restaurant with views in Madrid to the Royal Palace by antonomasia. The dishes on its menu are light and suitable for dining with a couple of cocktails while the sun goes down. Place for special occasions or not, there’s always a good excuse to go. 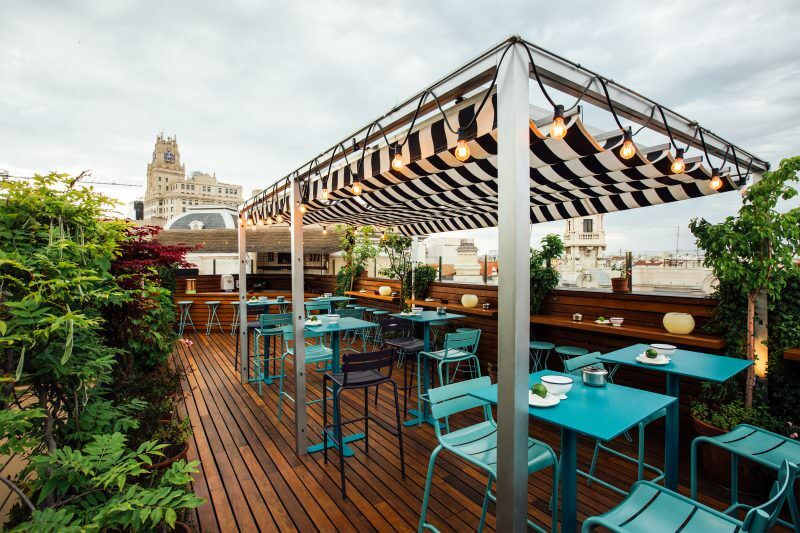 The terraceo experts have this rooftop as one of the most magical in the city. 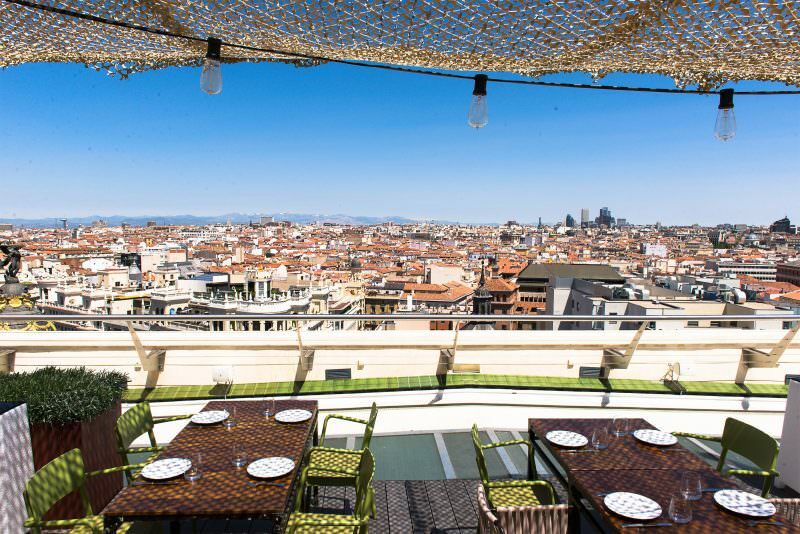 Some of the restaurants with views in Madrid are on hotel rooftops, so do not be shy and ask at reception. Others have a somewhat hidden access, as if they were a small treasure to be discovered. But everyone has something in common, it will be hard to concentrate on the plate when you have the city at your feet. Let me know when you’ve checked everyone, I’m already researching to bring you new surprises!